Aidone is a town in the province of Enna, at the heart of Sicily, on the eatern foothills of the Erei Mounts. It began to develop in the XII century, around the castle and the Priory of Santa Maria La Cava. It fluorished under the Normans, the Swabians and the Aragonese. According to some, the place name derives from the Arab word "Ayn dun", meaning "higher source" (with refernce to the numerous springs in the area), while according to others from the Greek word "aidon", meaning "nightingale". The Church of Santa Maria La Cava was built, according to some sources, by Countess Adelaide, in 1134, and to others, in the 14th century. In the course of time it was frequently altered, most noticeably in the 18th century. Among the other churches there is San Domenico, 15th c. in origin but with a baroque façade. The Gresti Castle, located on a hill North of Aidone, used to play a role of great strategic importance; it was probably founded by the Normans, but it has been frequently modified and in some parts it is badly ruined. In the 3rd century BC, during the reign of Hieron, the town became very rich and culturally developed. 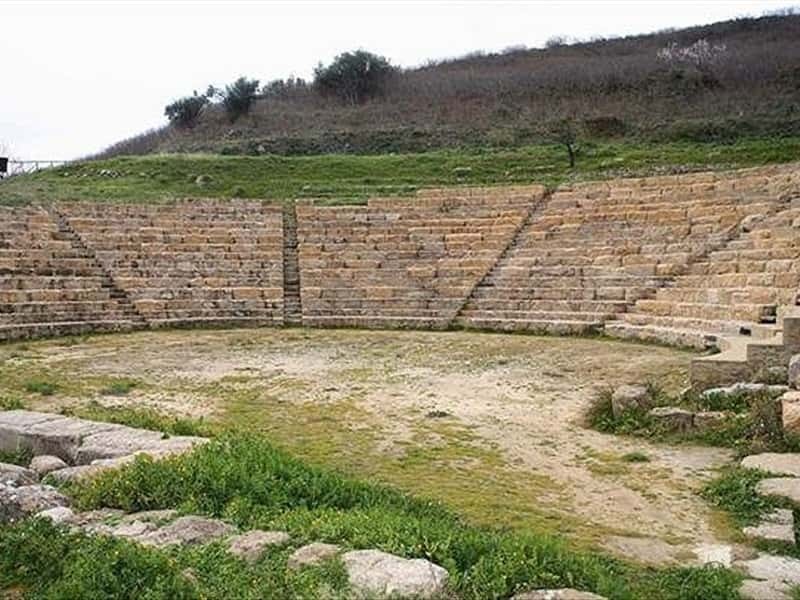 About 6km far from Aidone it is possible to visit the ruins of the ancient town of Morgantina, whose finds are displayed at the Regional Archaeological museum of Aidone. Since 1955, the Archaeological Mission of the Princeton University brought to light the remains of an ancient city in all its both architectonic and urbanistic phases, from the hellenistic period to the Roman one. A first phase of settlement dated back to the Iron Age (1000-850 b.C. ), documented by ceramic fragments and remains of huts on the upper side of the hill called "Cittadella". At the foot of this hill the excavations brought to light the ruins of the Sanctuary of Demeter and Kore, the stoa, the markets, the Senate or bouleterion, the chapels, a theater, the chthonic sanctuary, the ekklesiasterion, the furnace, the granary nd other buildings of the hellenistic and Roman period. The remains of the surviving buildings are the evidence of this development. Further excavations have brought to light remains dated back to the Romans who arrived later. The reconstruction of the agorà, which was levelled in 211 BC, and the several remains dated up to 50 BC, are signs of the Roman age, which came to an end during the Roman Imperial age when the site declined and was gradually abandoned. This town web page has been visited 29,518 times.